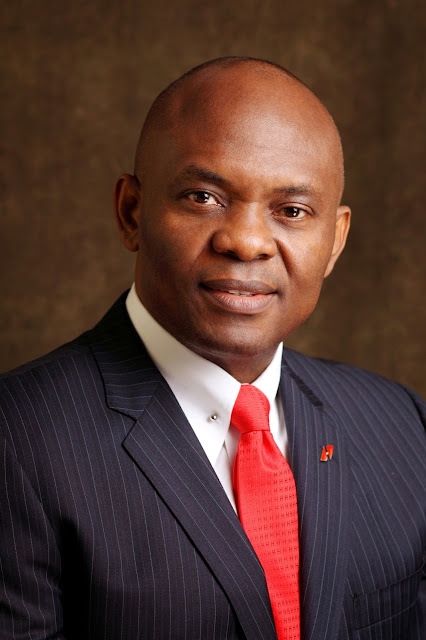 Home / Entrepreneurship / Remarks by Tony O. Elumelu at the National Assembly Business Environment Roundtable delivered on Monday, March 21, 2016 in Abuja FCT. Remarks by Tony O. Elumelu at the National Assembly Business Environment Roundtable delivered on Monday, March 21, 2016 in Abuja FCT. As Vice-Chairman of the Competitiveness Council of Nigeria, Founder of the Tony Elumelu Foundation (TEF), and a Nigerian citizen, I am extremely proud to be here today. 1. Our laws are not perfect, that we need to review, amend and enhance many of them, and that there is much work to be done to pass new legislation to improve the lives of our people. 3. That the private sector is the engine for economic growth in Nigeria, and indeed anywhere else. On behalf of my colleagues in the private sector- the established big corporates, the small enterprises and the budding entrepreneurs- I thank Senate-President Bukola Saraki and the National Assembly for taking a thorough, systematic and transparent approach to this review, and for understanding that, for the best results, the public, particularly the private sector must participate in the process of identifying and debating laws meant to increase their numbers, productivity and success. I also want to recognize and thank the National Economic Summit Group, who have been pushing for several years for a comprehensive revamping of our laws relating to the private sector. I also want to thank John Smith International, DFID and your other partners for the excellent work done with the MSMEs survey and report that form the basis of today’s discussions. The Tony Elumelu Foundation has also made a submission based on our survey of applicants to the Tony Elumelu Entrepreneurship Programme. I am a proponent of Africapitalism, which advocates for the private sector to acknowledge and embrace its critical role in Africa’s development. Through the $100 million Tony Elumelu Entrepreneurship Program, over the next 10 years, we will seek to identify nurture and seed 10,000 African businesses based purely on the merit of their ideas, and tomorrow we will announce the second 1,000 who will make up the Class of 2016. I can tell you from real data that the thirst and talent for entrepreneurship is highest in Nigeria. So far, with 498 beneficiaries (selectees) Nigerian entrepreneurs represent 50% of TEF entrepreneurs because they represent 50% of the best ideas submitted for consideration. I can also tell you that the enabling business environment is a real challenge everywhere on the continent. From long registration processes and obstacles, lack of access to finance, weak infrastructure, multiple and very complicated tax liabilities, to visa requirements, we have a million ways to extinguish businesses and partnerships before they begin. The hard truth is we are a continent that depends on our export commodities and the resilience of our entrepreneurs and that makes us extremely economically vulnerable. Now that the commodity market has drastically let us down, we need to assure our economic recovery and continued growth by lifting our entrepreneurs up. In particular, we need to empower and enable the job creators and future job creators, by which I mean the start-ups and small businesses who can create millions and millions of jobs by simply employing one person. They are our salvation and our elevation. We’ve heard some wonderful statements from our legislative leaders today. As you will probably understand, a lot of talking has been done over the years around the issue of improving the enabling environment for business. The prayer of the private sector is that we move from talking to doing. If we make these changes, we can unlock countless jobs and opportunities in the country. I will remind you that, without spending any money, over a decade ago the federal government started issuing GSM licenses. This revolutionized a sector that in turn unleashed countless direct and tangential jobs. I believe we can achieve something similar by passing other pieces of legislation like land use reform, to enable people sitting on valuable land asset, to own, monetize and collateralize it to get access to capital to start or grow their business. So, let us go about the business of doing, so that our entrepreneurs can go about their own business. In closing, I want to say, that what we do in Nigeria will set the example for other African nations and the National Assembly is off to a great start with this comprehensive review of our business environment. I thank you again for this initiative to unleash Nigeria’s entrepreneurs. I assure you that the private sector will be your partner in this worthy cause to pass the necessary measures to help assure the survival and success of start-ups, SMEs and major corporates in Nigeria.